Height: 10 ½” Weight: ½ lbs. Marionette is under a foot tall and still possesses her full size strength. She also possesses hypnotic Mind Control powers. She generally hides, and hitches a ride on her victims. If angered or pressed she falls back on her eastern martial arts training. Marion was born a mutant with shape-shifting powers. 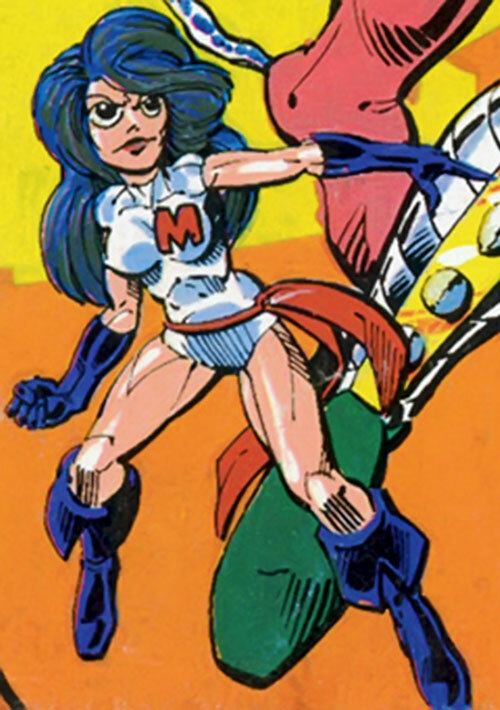 Due to her inferiority complex these powers manifested themselves by slowly reducing her size at puberty. By learning such meditative techniques such as yoga while in the East, she has managed to arrest her shrinking away into nothingness. During her stay in the East she picked up her mesmerizing powers. Marionette overcompensates for her diminutive stature and inferiority complex by being aggressive. Shrinking is Always On, Martial Artist has Techniques. SIH (comments about her size). 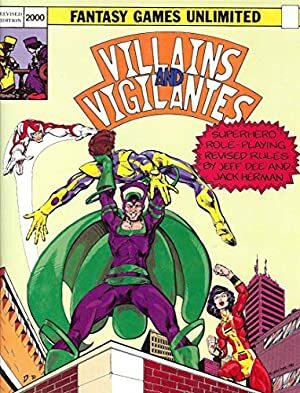 Helper(s): Hart!, Villains & Vigilantes Comic Book.